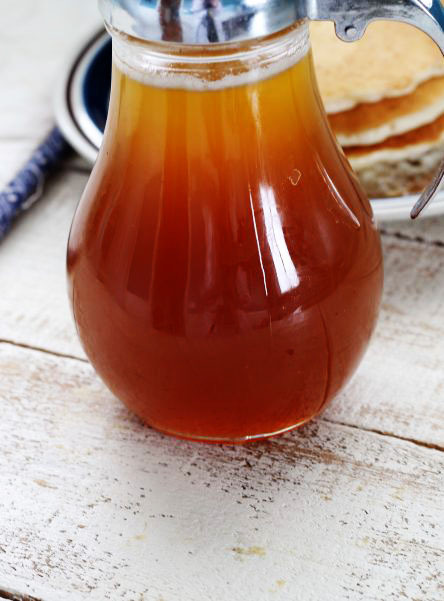 Buttermilk Syrup is an all time favorite of anyone who’s ever tasted it. It’s rich caramel taste will have everyone coming back for more! It is so fun when others ask for the recipe, that way you know that it is a good one and a keeper. My sweet mother-in-law introduced me to this recipe about twenty years ago and we have been making it ever since. I have a few recipes that were hers and every time I make them, it sure makes me miss her. She was a wonderful cook and we always loved visiting. She was the kind of person that could make something amazing from nothing. She definitely cooked with love, and everybody loved her cooking and they loved her. My family (and everybody I have ever served this to) love this syrup. When my daughter and son married their spouses, this was one of the first recipes that my new son-in-law and my new daughter-in-law got from me. It is fun to pass this recipe down. It is kind of funny but my son and daughter-in-law will always think of getting this recipe from me because they didn’t even know my mother-in-law, but in reality it is being passed down to one more generation. Now that I think about it, I wonder where my mother-in-law got the recipe. It is a nice change from maple syrup. I hope you all have a wonderful day that is filled with great adventures. Enjoy the syrup. One thing that I wanted to tell you is that every year my husbands work has a breakfast before Christmas time, and they always ask my husband to bring the syrup. He brings this one and our homemade maple syrup. 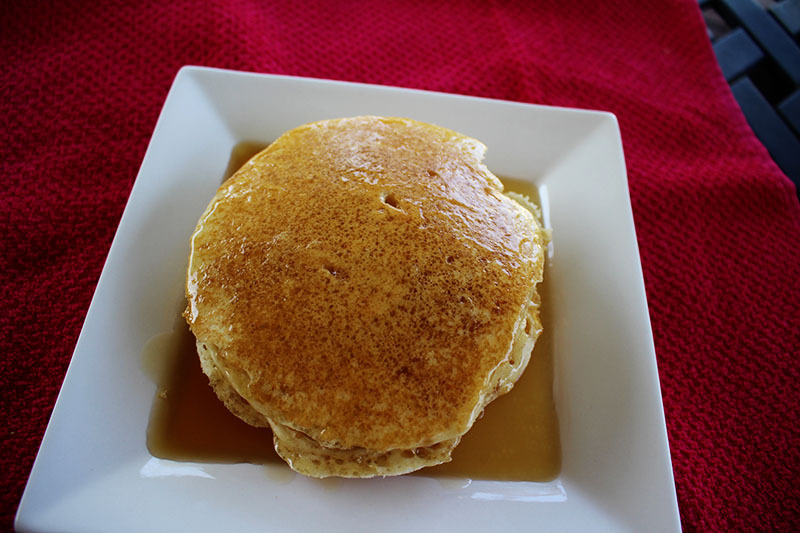 I like the flavor of the buttermilk syrup the best, but the maple syrup is the easiest to make and we use that the most. But if you are ever asked to make syrup for a special occasion, I would make the buttermilk syrup. Like I said, it tastes like caramel and everyone just loves it. It is very sweet I must say. 1- Make sure that your pan is very large, my pan holds 16 cups, because the syrup rises while you are cooking it. 2- I like to use a scraper to clean off the sides of the pans so that the syrup doesn’t go sugary. 3- Make sure that you stir it most of the time. This also keeps it from boiling over. In a very large kettle, add sugar, butter, buttermilk, corn syrup, and baking soda. Boil 5 minutes over medium heat. If it starts to boil over, turn heat down a little and stir vigorously.